It is a fact that packing and moving pieces of furniture can be quite a daunting task. Owing to their bulkiness and fragile nature, the chances of damage are often high. And that’s why the packaging and shipping of these items need to be done perfectly and with care. Whether you are planning on handling the move on your own or hiring a professional moving company, there are a few things that you can do to ensure your pieces of furniture get to your new home intact. Here are a few awesome tips on moving furniture safely. 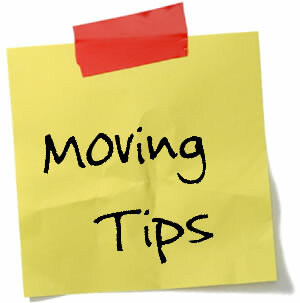 The best way to ensure you have a smooth moving process is to prepare or plan everything in advance. In regards to furniture, there are a couple of things you’ll need to do. First, compile a list of all the pieces of furniture being moved. Then, note how many of them can be disassembled easily and how many contain fragile components like glass. Once you have this list, you will be able to determine which tools and packing supplies you should to procure for your furniture move. After you’ve procured all the necessary tools and supplies, the next step would be to dismantle some of your furniture. This may include beds, tables, drawers, chairs, and removing cushions from sofas. Although, it is advisable to avoid disassembling items that you won’t be able to reassemble. Advisably, take pictures of each step to act as a guide during reassembly. Packaging follows after the dismantling of furniture. The key point here is to know how to package each item! That’s because different parts or pieces of furniture need specific packaging techniques. For example, to prevent damage on your furniture’s upholstery, you will need to wrap them in blankets or furniture pads. Glass items should be encased in bubble wraps and places in between soft items like cushions or mattresses. Also, you can use pieces of cardboard to protect the edges and corners. When loading furniture into a moving truck, one key principle applies – always start with the heaviest items first! This not only lessens the chances of damage to smaller items but also ensures that the weight of the load is equally distributed. While driving, avoid sudden jerks, bumpy roads or high-speeds around corners. This prevents your items from falling on each other during the trip. When you get to your new home, the whole process will be reversed meaning, you’ll have to first unload, unwrap, assemble and arrange your pieces of furniture as you see fit. With all that in mind, you are well on your way to having a smooth and damage-free furniture move. The whole process may need a lot of time and effort, but it does guarantee your furniture’s safety during a move.